Mac Bethad mac Findlaích, anglicised as Macbeth, nicknamed RíDeircc, "the Red King"; died in 1057 – this King is best known as the subject of William Shakespeare's tragedy Macbeth. Robert Bruce (1274 -1329) was a famous warrior and the spider story is attributed to him ‘not falling or not giving up after failure’. Adam Smith (1723 - 1790) was a moral philosopher and a pioneer of political economy. Smith is best known for two classic works: The Theory of Moral Sentiments (1759), and An Inquiry into the Nature and Causes of the Wealth of Nations (1776). The latter, usually abbreviated as The Wealth of Nations, is considered his magnum opus and the first modern work of economics. Alexander Graham Bell (1847 – 1922)- the inventor of telephone was an eminent scientist who is credited with many other inventions too. Andrew Barron "Andy" Murray is British No. 1 since 2006. This most popular star won the Wimbledon Championships men's singles title in 2013, and is the 2012 Olympic tennis men's singles champion. In case you are wondering…… they are some of the famous persons of Scottish origin. Scots, are a nation and ethnic group native to Scotland. Historically, they emerged from an amalgamation of two Celtic peoples—the Picts and Gaels—who founded the Kingdom of Scotland (or Alba) in the 9th century. Now the news is “Scotland says NO’ ….. the better together campaign has a clear victory in the referendum as Scotland has voted to stay in the United Kingdom. Resultantly, Alex Salmond reportedly took to the skies after pulling the plug on a planned appearance at his local count in Aberdeenshire. Yesterday there was some furore after the golden boy of British sport announced that he does not want to be British any more. 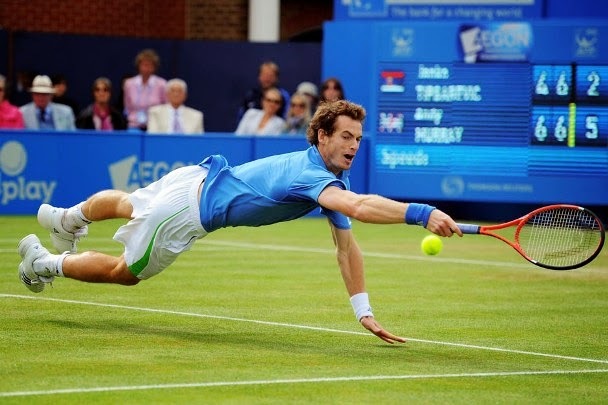 At the eleventh hour, Andy Murray came out as a Scottish nationalist, a Yes man, a supporter of independence. After many years of silence on the matter, Murray broke his cover with a characteristically badly punctuated tweet yesterday. His remarks came after he sensationally ditched years of careful neutrality on Scottish independence with a last minute declaration of support for a ‘Yes’ vote. There was backlash and then the Wimbledon winner retracted stating that he opts to play for Great Britain and that the result would not affect his loyalty to Team GB in the upcoming David Cup tie against the United States. Away from the main issues, a search led to ‘yes’ in Scotland poll – that was not to be the result of referendum … but Royal and Ancient golf club at St Andrews voting to allow women members for the first time in 260 years. Daily Mail reports that the club in St Andrews, Fife, known as the 'home of golf', voted by a simple majority in favour of allowing women members. Around 85 per cent of the club's 2,500 global members said they thought women should be able to join. Last year, members of Royal Burgess golf club in Edinburgh were presented with a similar opportunity, but voted 69-64 against admitting women. The R&A had resisted moves to admit women to its membership, but matters escalated when major Open Championship sponsor HSBC said it was uncomfortable with the major being held at an exclusively male club. The present owes its existence to a local club founded in 1734 as Society of St Andrews Golfers. Concluding with our pet topic ‘Cricket’ – the game has a considerably lower profile in Scotland than it has in neighbouring England. Scotland is not one of the ten leading cricketing nations which play Test matches, but the Scottish national team is now allowed to play full One Day Internationals even outside the Cricket World Cup, in which Scotland competed in 2007. In Cricket, there are teams from England, Ireland and Scotland competing independently.